Syfy is expecting us all to go back in time, both figuratively, and literally on the show. They expect us to go back to circa 1995, when 12 Monkeys was a cult hit with sci-fi fans. Syfy is basing a TV show on the original movie starring Bruce Willis, Madeleine Stowe, and Brad Pitt. 12 Monkeys the show will debut on Syfy in January. Here’s the trailer. Can 12 Monkeys make a decent series after all this time? I'll be honest, I can't remember what happens in 12 monkeys at all - except that I think I liked it. So I'll probably give it a shot as a tv show. I never saw it, but the trailer looks interesting. I had watched 12 Monkeys at least half a dozen times in my youth, because it was weird and interesting and yet, I still never got it. You know what I mean. The show on the other hand, looks rather predictable. I'll give it a try because I see the potential in the idea, but as of yet, I'm not convinced the execution is there. I almost find it funny after the conversation that was had earlier on TVode regarding low-budget TV. 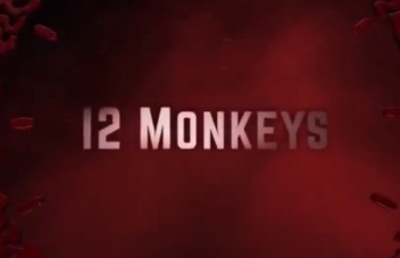 The trailer for 12 Monkeys certainly makes it look low-budget, but something tells me this may not be the low-budget show we were looking for. Brian dies on Family Guy, is this good or bad? Do you find it frustrating that American TV shows air in Australia six months after their original release? Would you be into a Babylon 5 reboot?